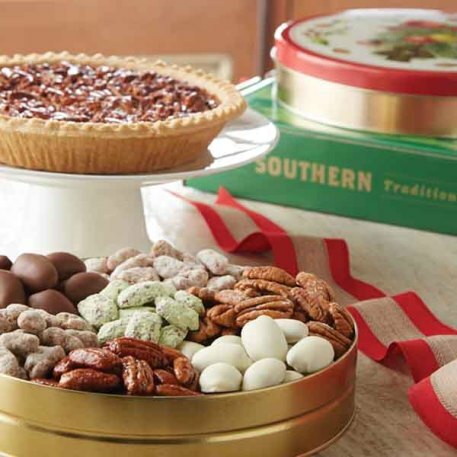 You asked us to bring together two of our most popular favorites in one great gift. So we did! 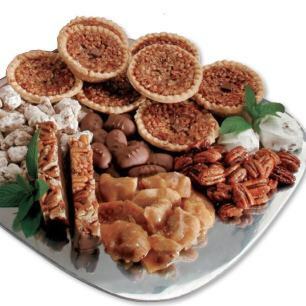 Now you, or those lucky enough to receive it, can enjoy our Old-Fashioned Pecan Pie and our Seven Favorites Sampler! 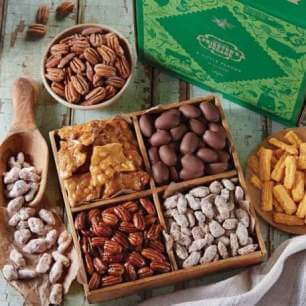 It's a delicious way to feed everyone's tastes at a holiday party or gathering. I sent this set to 8 relatives and every one of them was thrilled! 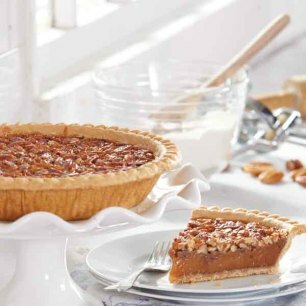 They loved the pie, and the pecan variety was really appreciated! It was a VERY successful holiday gift, and the delivery/packaging were perfect as well. Highly recommend. Everything in the gift was delicious. 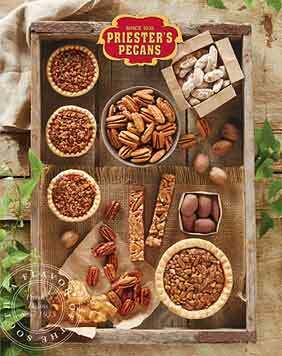 The pie was great and my favorite pecan was the key lime pecan. I have finally found the perfect gift for my mom - anything Priesters!